Aside from a full curriculum taught in English language and the mandatory German language classes, GSSST offers all interested students the opportunity to take up the study of Arabic language. Widely considered one of the world’s toughest languages to learn, with almost mathematical grammar rules and an entirely different written and spoken form, the study of Arabic is a considerable intellectual challenge. It is then interesting to note that Arabic language learners are on the rise across the globe. Spoken by up to 422 million people across more than 20 countries, Arabic is one of the most widely spoken global languages. One of the UN’s six official languages, and one of the world’s five most spoken, Arabic is increasingly on demand across the fields of business, trading, development, diplomacy, art, education and beyond. 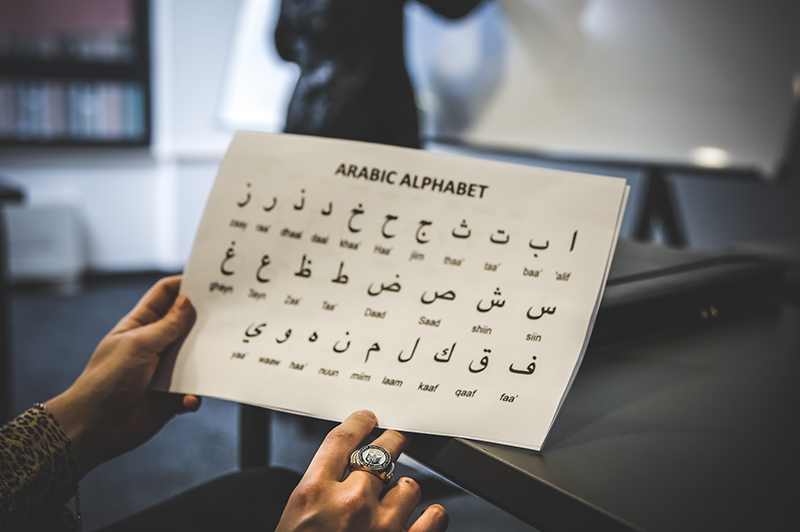 Despite its prevalence, many countries report a shortage of Arabic speakers – a skill so covetable, that many governments and leading universities in the West offer competitive scholarship programs and actively recruit students interested in its study. The richness of Arabic culture should provide additional motivation. Particularly in fields of philosophy, medicine and science, nations that speak Arabic have contributed to the global cannon of human knowledge so significantly as to facilitate Enlightenment, Renaissance and the Scientific Revolution. Ability to read Arabic means that you can explore the world of architecture, astrology, navigation, mathematics and literature in their first language. Further, the ability to read and understand the Qur’an provides the key to the world’s’ fastest growing religion, with some 1.5 billion believers globally.